Former ICT Minister, Supa Mandiwanzira has been granted $2000 bail by Harare Magistrate, Nimrod Guvamombe. Mandiwanzira who was arrested yesterday on allegations of abuse of office after awarding a tender to Megawatt without following due procedure was asked t submit title deeds of a property worth $100 000 as surety, reside at the given address and intefere with state witnesses. Michael Chakandida from President Emmerson Mnangagwa's anti-corruption special unit appeared on behalf of the state. 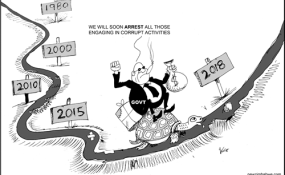 Is Mnangagwa's Anti-Corruption Unit Illegal?